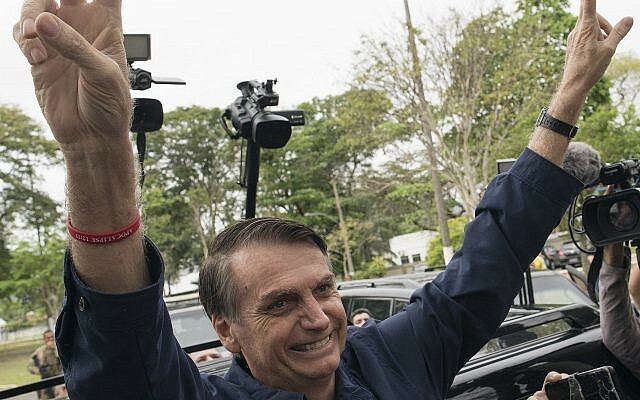 SAO PAULO (AP) —A far-right former army captain who expresses nostalgia for Brazil’s military dictatorship won the first round of its presidential election by a surprisingly large margin Sunday but fell just short of getting enough votes to avoid a second-round runoff against a leftist rival. 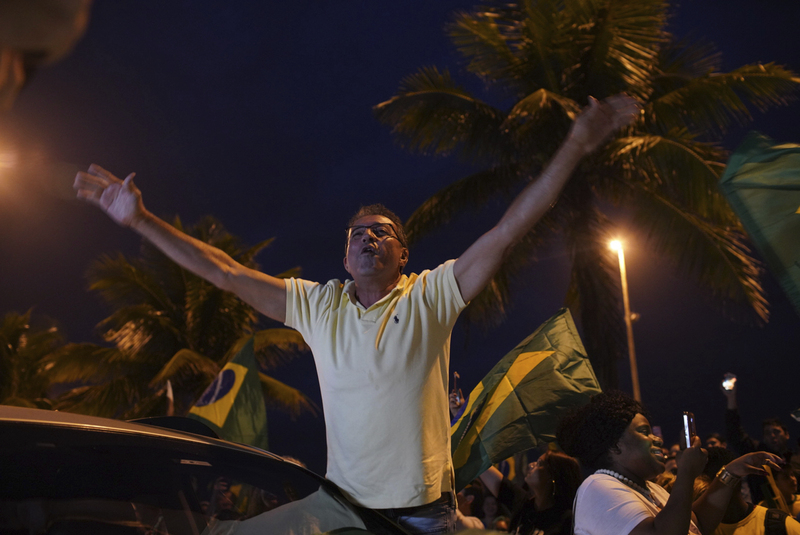 But little in this election has gone to plan, and Bolsonaro’s strong showing reflects a yearning for the past as much as a sign of the future. 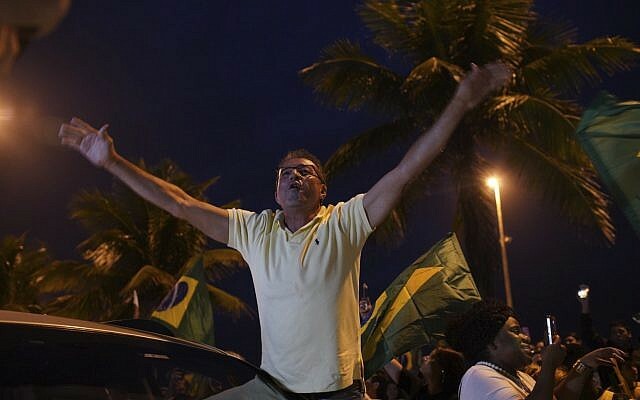 The candidate from the tiny Social and Liberal Party made savvy use of Twitter and Facebook to spread his message that only he could end the corruption, crime and economic malaise that has seized Brazil in recent years — and bring back the good ol’ days and traditional values. 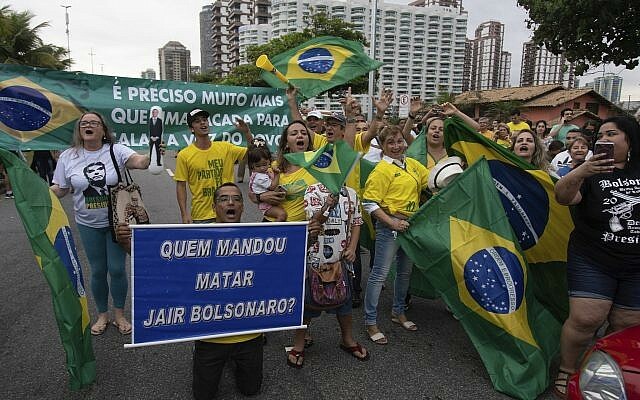 Often called Brazil’s Trump, Bolsonaro has vowed to move the country’s Israeli embassy to Jerusalem and has said he will close the Palestinian embassy in Brasilia. 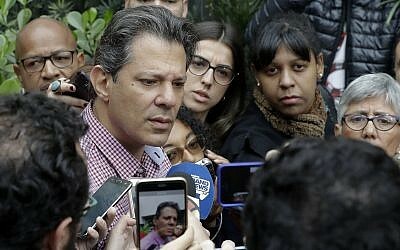 After the stabbing, he refused treatment at an Arab hospital commonly chosen by the country’s most senior politicians, fueling rivalry that made headlines and led to conspiracy theories in social media. 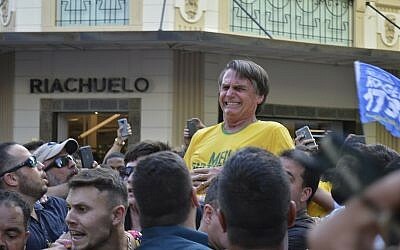 The most radical among Bolsonaro’s nearly 10 million followers on social media suggested his life would be at risk if moved from the city of Juiz de Fora to receive medical treatment “by the hands of Arab and Muslim doctors,” adding that, at the Jewish institution, the Israel’s Mossad would be able to protect him.